making a dream home is not an easy task . we have many confusions at the time of construction so we have make a good consultation with experienced designers. they can provide proper and good suggestions for you.it is our novel design. it is a single floor house. the interior and exterior of the house is planned very beautifully. 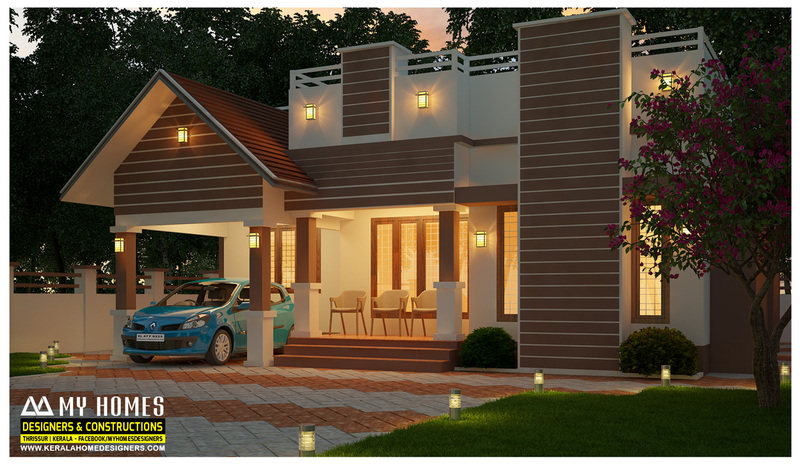 it is a kerala low budget houses offer good facilities. a designer can lent good and proper suggestion . Kerala low budget house can provide all amenities what you like. it is beautiful single floor house. this is one of our novel design.it is a single floor house. total build up area of the house is 1000 sq.ft and it is three bedroom house. there is well designed sit out and separate living area and dining hall. the bedroom is attached with bathroom. it is small elegant and well designed house. the wash area is well designed and constructed near the dining hall. we ready to make your dream home. for more details visit my homes office.